Do you have a young child who is expressing an interest in learning how to play a musical instrument? Or are you trying to find the right way to introduce your child to music? 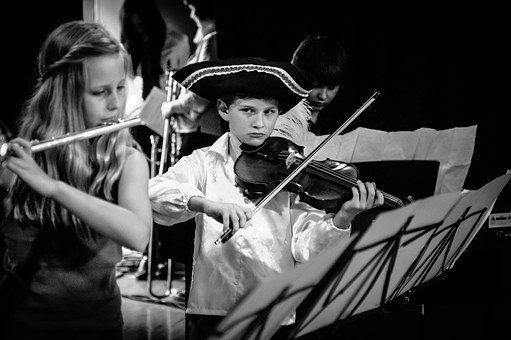 Maybe you loved playing an instrument when you were young and want your child to get the same experience. If this sounds like you, you might be wondering what the easiest instrument is for kids to learn. The ukulele is a great instrument for a child to learn to play. In fact, it might be one of the best “first instruments” for your child. First of all, it’s inexpensive and costs much less than other stringed instruments. It’s also the perfect size for a kid’s hands. While younger children aren’t really able to hold onto a guitar properly, they’ll have no problem with a ukulele! Most chords are pretty easy to learn and the sound of a ukulele goes well with children’s songs. It’s a fun, light instrument that everyone loves. And, there’s more. It’s an effective introduction to stringed instruments. 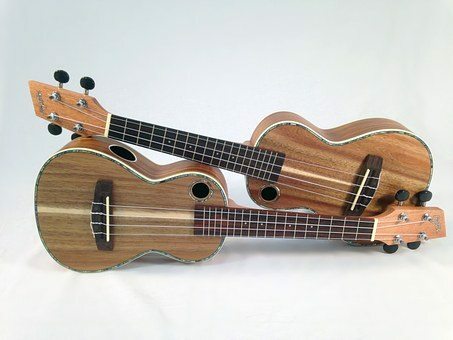 While a ukulele is very different from a guitar or violin, the skills learned will easily transfer to a different stringed instrument in the future. Ukuleles also come in a variety of fun colors. Now, while this doesn’t make it sound any better, it’s definitely a kid-friendly characteristic. It might even encourage them to practice more if they get to choose a fun, funky color for their new instrument. 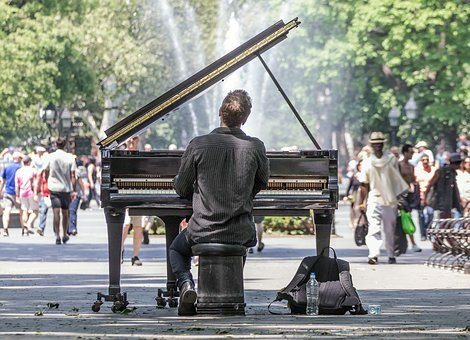 The piano might be the best way to learn the underlying theories and structure of music. It’s well suited to teaching a child how to read notes, count the beat, learn about musical terminology, and even process how different chords and notes fit together. For parents who are unwilling or unable to invest in a piano right away, younger children can start with a keyboard to learn the basics. When you play the piano, you play both the melody and the harmony simultaneously. You’re also using both the treble and bass clef and piano sheet music actually gives you a visual representation of how the melody and harmony fit together. Learning all of this can help a child understand how the instruments in a band or symphony work together in the same way to make all of their individual parts into one cohesive, beautiful song. Kids of almost any age will innately know what to do with a set of bongos. Hand them a set and they’ll likely start banging on them straight away. Believe it or not, in addition to being easy to play, they can also teach a child a lot about music. 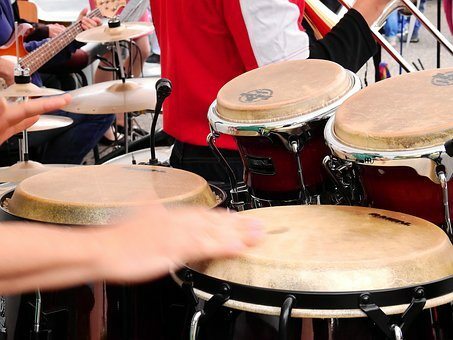 The rhythm that drums provide in music is essential and the bongos are one of the easiest ways to learn about it. These are a great way to start on the drums because you don’t need to involve the feet yet as you do on a drum set. There is more technique to playing the bongos than just hitting them. There are open tones, muted tones, slaps, and heel-tip movements. And while you don’t need to learn how to read different notes, you do need to know how to determine the rhythm. Kids will learn all about time signatures, half notes, eighth notes, accent notes, and everything in between. You need to understand how to read a rhythm to play any instrument and the bongos are a really great place to get started. The best way to introduce younger children to musical instruments is to make it fun and there aren’t many instruments that are more fun to play than a xylophone! 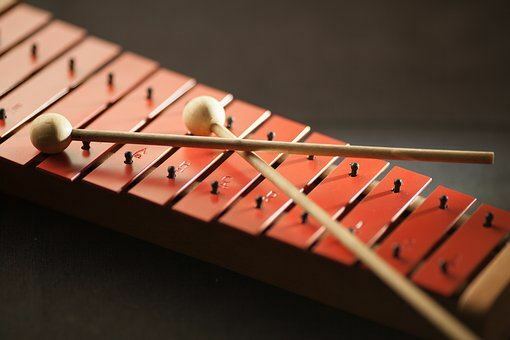 Kids can develop their fine and gross motor skills by holding the mallets and learning how to control the strength of the sound by how hard they hit the keys. This will help them down the line if they decide to try a different instrument with more complicated valves and keys. A xylophone is also a great way to learn about basic melodies and rhythms. Because it’s a percussion instrument, it relies very heavily on these things to drive the music forward. It will teach your child how to count and follow a beat. Also, because a xylophone only has a limited number of notes, it’s not overwhelming. You can also find color coded xylophones or ones that have numbers or letters on the keys that can help your child take more of an interest. All of the instruments we mentioned here are either strung like the ukulele or percussion instruments—yes, even the piano is considered a percussion instrument! There’s a reason that there are no woodwinds or brass instruments included. 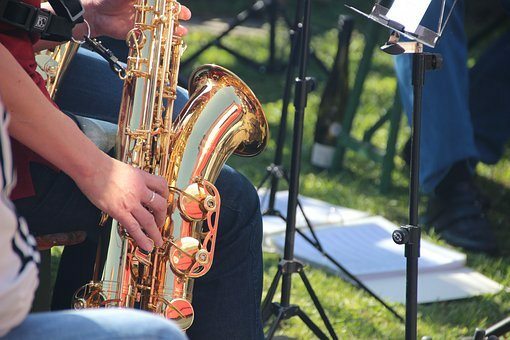 Instruments like the clarinet, flute, trumpet, saxophone, or trombone are all great to learn, but they may not be the best choice for younger kids. Why? Well, not only are there different valves, keys, and positions to know in order to create the right sound, but young kids might have a difficult time figuring out the various breathing techniques. If your kid is around 8 – 10 years old, it’s the perfect time to consider a wind or brass instrument. The clarinet is one of the easiest woodwind instruments to learn. A big plus in learning the clarinet is that it’s super easy to move to the saxophone using the same techniques. As for brass instruments, the trumpet is the best place to start. Like the clarinet, the skills kids learn playing the trumpet will easily transfer to other brass instruments, like the French horn, cornet, tuba, or trombone.